Wildflowers, though typically found in the countryside, can provide benefits in towns too. To have a variety of insects, on which birds and reptiles may depend, needs areas of wild vegetation to be connected, because mobile species are easily lost from small isolated areas. Such linkage can also be important in heavily cultivated countryside. Strips of wildflowers, whether in gardens, urban open spaces, road verges or country paths, provide connections, as well as being attractive to look at. River of Flowers began as a community project spearheaded by the Archway Herbal Clinic to create a ‘river’ or ‘pollination stream’ of wildflowers flowing through north London. It provides a necklace of forage for pollinators, bees, butterflies and hoverflies in the city and helps wild plants to survive. 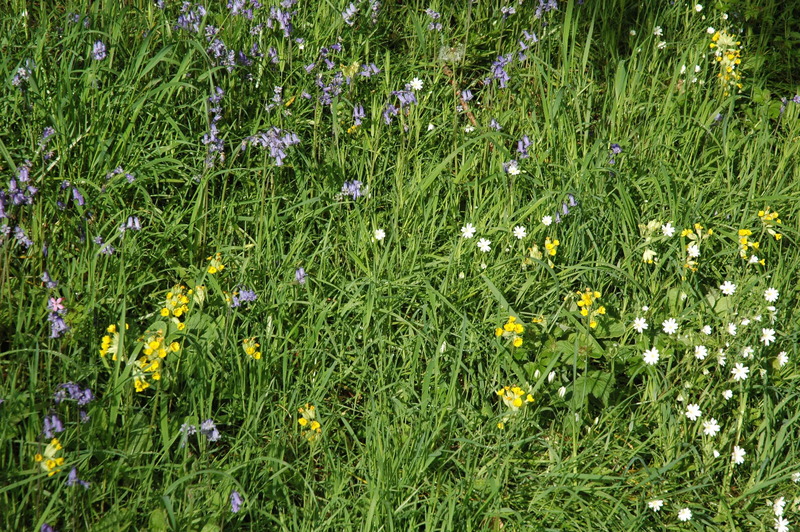 Since its inception, River of Flowers has been involved in the creation of many new urban meadows throughout London. 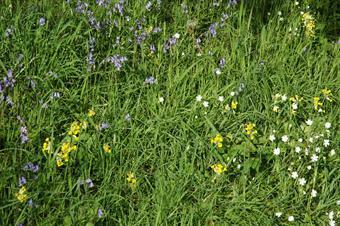 This has been partly been achieved directly, through the Urban Meadows Floral Bank. However, River of Flowers has also been successful by building many partnerships with conservation organizations and other civic groups at local and national level. Food growing projects are involved because wildflowers can also be grown with food crops, to attract pollinators and animals that eat garden pests. There is further encouragement by website, talks, advice sessions, wildflower workshops and other events. For further information on this approach to rebuilding the riches of nature, and all the partner organizations, visit the River of Flowers.